Well, it is good to expand your boundaries every once in a while, isn’t it? To try something new and different. 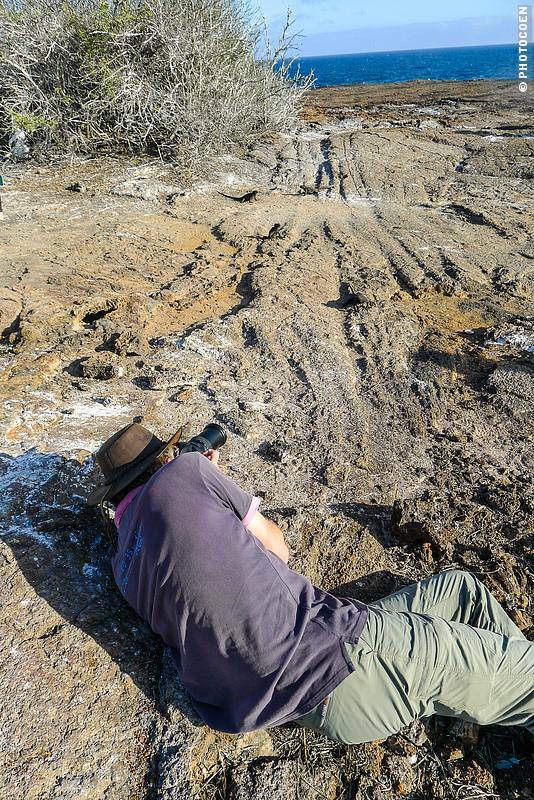 We found it a perfect excuse to exchange our Land Cruiser for a mid-week Galápagos. Yes, we are really going! LAN airlines sponsored our flight and brought us to Baltra Island. When we stepped outside I wondered whether it had inadvertently landed on a different planet. 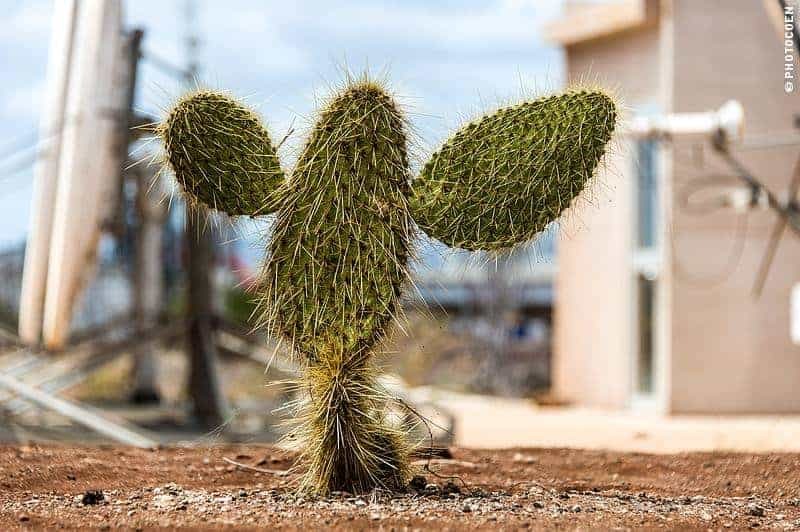 Only 600 miles separates Ecuador’s mainland from the archipelago yet the landscape had switched from cool, forested mountains to a table-top, muggy desert (yes, muggy & desert sounds like an oxymoron but here it isn’t) dotted by a couple of prickly pear cacti. 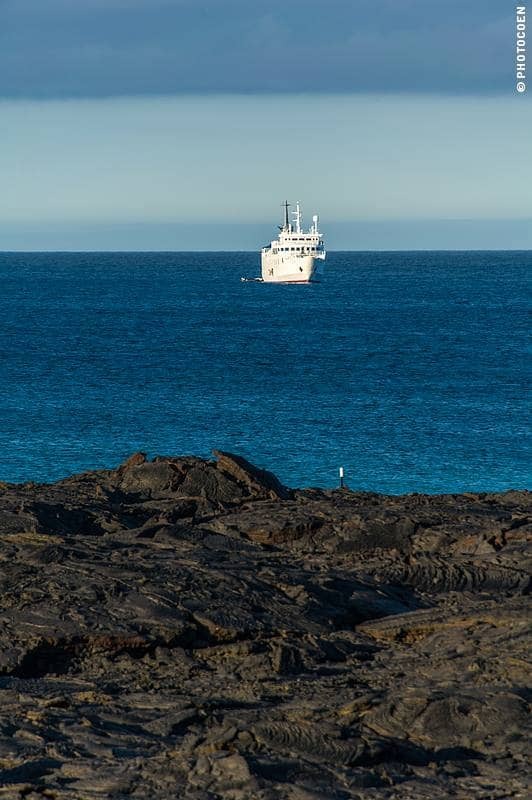 Contrary to most of the Galápagos Islands, Baltra is not a rocky, volcanic island but was lifted above the surface of the Pacific Ocean as a result of a shift in the earth’s crusts. 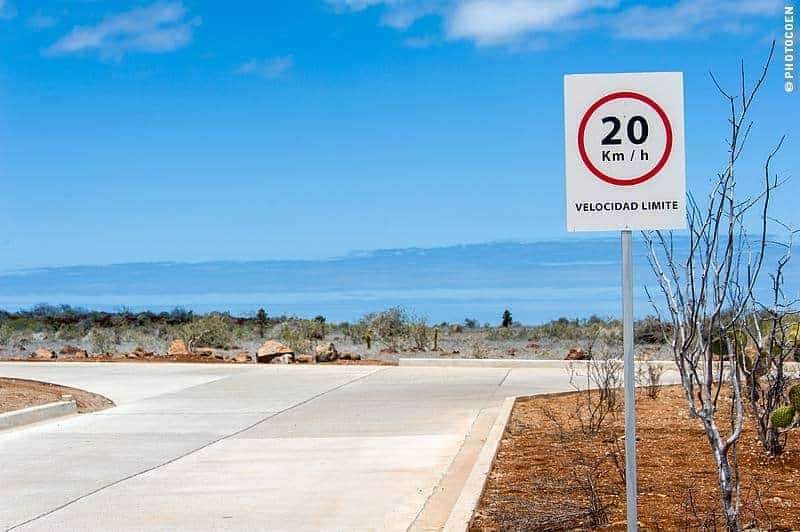 In fact, exactly because Baltra is so empty and flat the runway had been built on this island instead of on the adjacent, populous but hilly Santa Cruz. During World War II, Baltra became a United States Army Air Force base and the Americans constructed the first airstrip here. For a couple of years some 5,000 soldiers were stationed but they didn’t have much to do. The Japanese never got this far nor was there any female company in the area. After the war the Americans returned home and the airstrip was given back to nature. 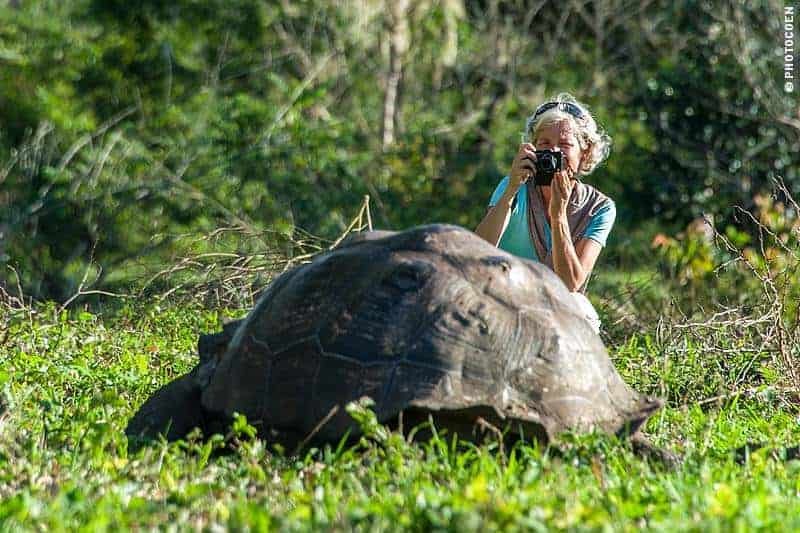 In 1959 the Galápagos became a national park and in the 1970s brought a tourism boom to the islands. The journey was quite different from today: three days on a boat from the mainland, a cruise around the islands, and three days back to the mainland. Apart from many people being seasick the trip was too time consuming and so the runway was brought back to life, with an airport. The island recently opened a new airport, an ecological one that is. They reused as many existing materials as possible, e.g. the supporting columns are discarded oil pipes from the Amazon. Dries, Ramiro, and Christophe, our guides for the next couple of days, awaited us at the airport. When the next plane landed (which carried the other 42 passengers on this cruise) we hopped on a bus and were on our way. The cruise started over land. A brief bus ride brought us to the Itabaca Canal where we ferried across to the other side: Santa Cruz Island. This island lies pretty much in the center of the archipelago which counts some twenty islands and dozens of tiny islets. 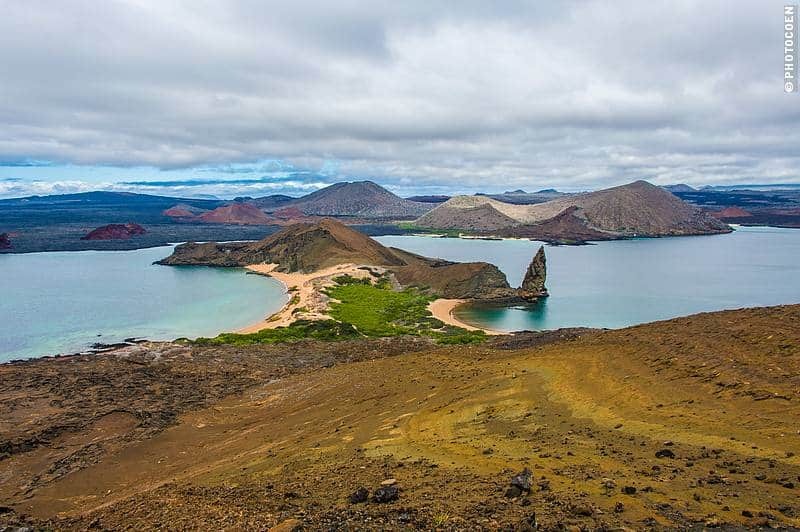 Most of the 20,000 Galapagueños live on Santa Cruz Island. The afternoon offered a sample of what lay ahead of us: surprising landscapes – in this case varying from dry terrain with Palo Santo trees to lush, forested highlands – and wildlife that was so undisturbed by our presence that it was almost insulting. The animals couldn’t care less whether we were there or not, and I’m pretty sure many of them turn up their nose for us. While cloudy weather characterizes Santa Cruz’s highlands, the sky was blue and the area looked magical in the warm, late afternoon sunlight. Except for watching sea turtles that come ashore to lay eggs like we saw in French Guiana (read about it here) I have never been particularly interested in these reptiles. Until we arrived at the giant tortoise reserve. The sight of these animals left me speechless. Giant indeed: the tortoises can weigh up to 250 kilograms and measure 1.5 meters across their dome-shaped shell. I felt as if we had flown with E.T. to his home in the prehistory. Dozens of slow-moving, herbivorous behemoths inhabited a terrain of grass and forest with a big pond. 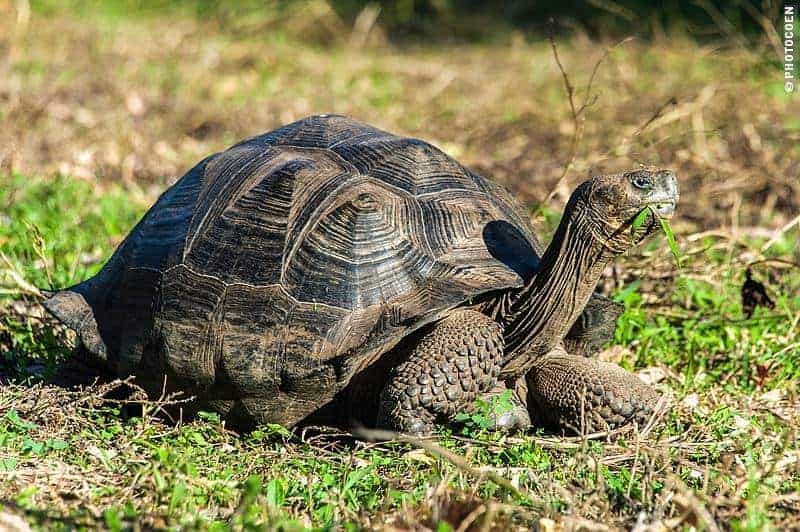 The tortoises have pretty long necks that evolved in such a way that they can reach leaves of higher bushes and trees. After we all took our first zillion photos of that week we were driven to the harbor of Puerto Ayora. Pangas – rubber dinghies – brought us from the shore to our floating home for the coming days: La Pinta. 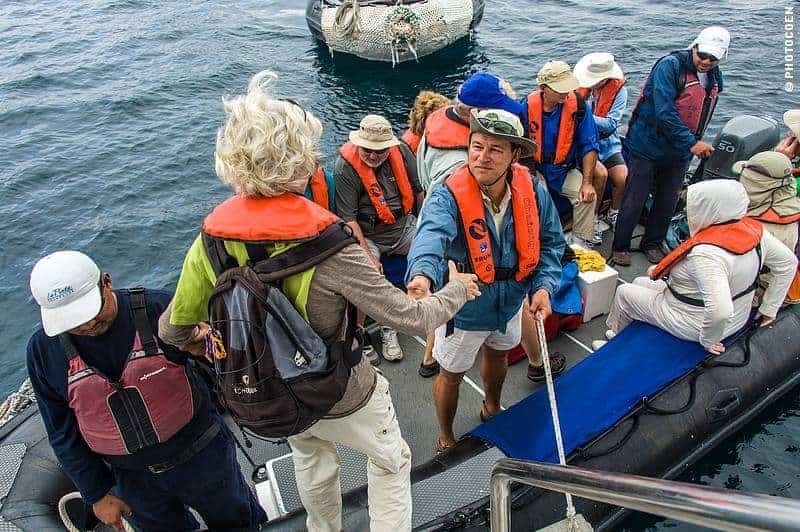 Lesson #1, from Gabriel, our expedition leader: the Galápagos handshake. You use it every time you step on or off that rubber dinghy, which is a couple of times a day. Lesson #2: how to handle our life jacket. In fact, within the first ten minutes aboard La Pinta we had a boat drill exercise. 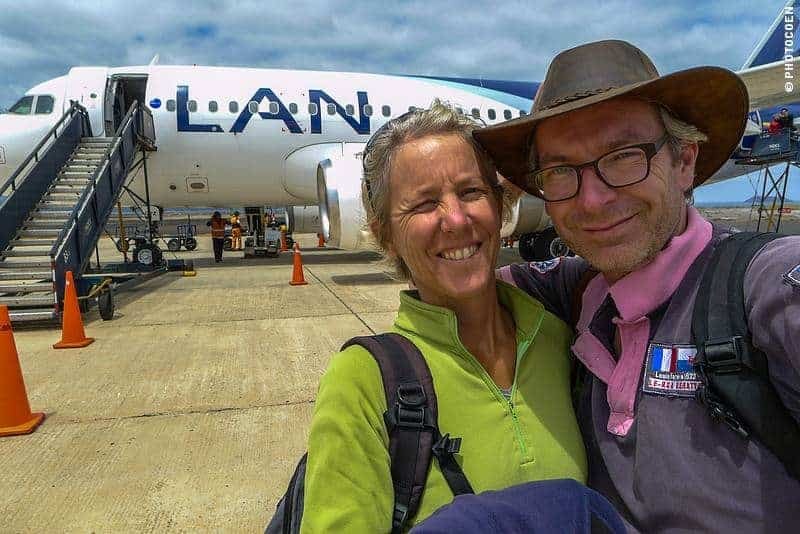 Our world of roughing it in a 90-square-foot Land Cruiser, bathing in cold rivers and lakes, sleeping on a 1.2-meter-wide mattress, and eating our meals from a bowl was now the one that belonged to another planet. La Pinta is one of the three yachts owned by award-winning Metropolitan Touring, which sponsored this part of the trip. 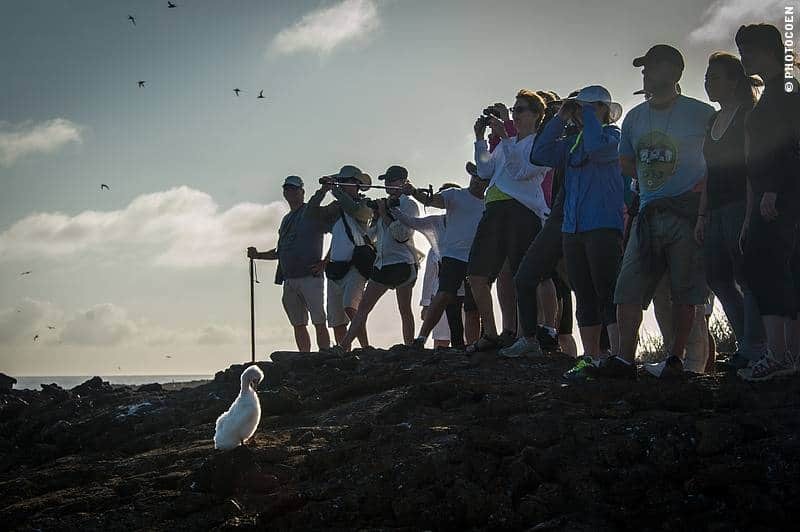 Metropolitan is the ‘mother’ of Galápagos Tourism, as locals liked to explain to us. The organization has existed for 60 years and was the first to have a cruise vessel in the region. ‘Cruising’ is not the right word, Gabriel explained to us that night, during our first briefing. This was an Expedition! Which was a friendly way of saying that we wouldn’t be sleeping in but getting up at 7 and be ready for our first activity at 8.30 am. Right. Showering under a strong and hot shower and sleeping in a queen-sized bed may be common to many of La Pinta’s passengers but not to us. We literally bathed in luxury. On that note: I do wonder why everybody needs so many pillows that appear to characterize luxurious hotel rooms. Oh, and the bed had sparkling white sheets and the floor was covered with a blue, soft carpet. The only thing we were not keen on was the aircon, as we’re not used to it. It made sense that we were not allowed to turn it off. Humidity, which is a part of the equator in most parts of the world, would cause a bad smell in the room because the floor-to-window window obviously couldn’t be opened. That was just the bedroom. The yacht has a lounge where we had our briefings or could enjoy a drink at the bar. Adjacent is a small library with a TV, videos and lots of books on the Galápagos. From the lounge we could step on the an observation deck with high stools along the railing, which is a good place to enjoy a moment of tranquility. 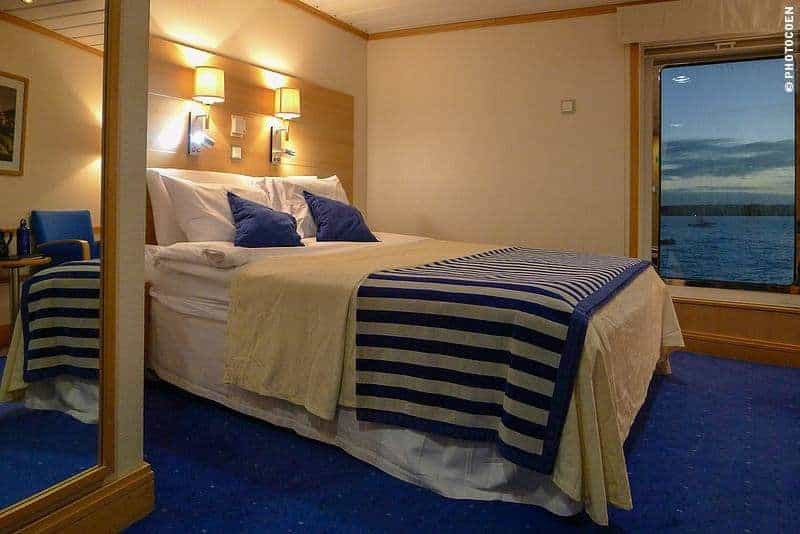 Of course the yacht has a dining room and well as a dining deck, and yes the food is a reason in itself to choose this particular cruise ship. 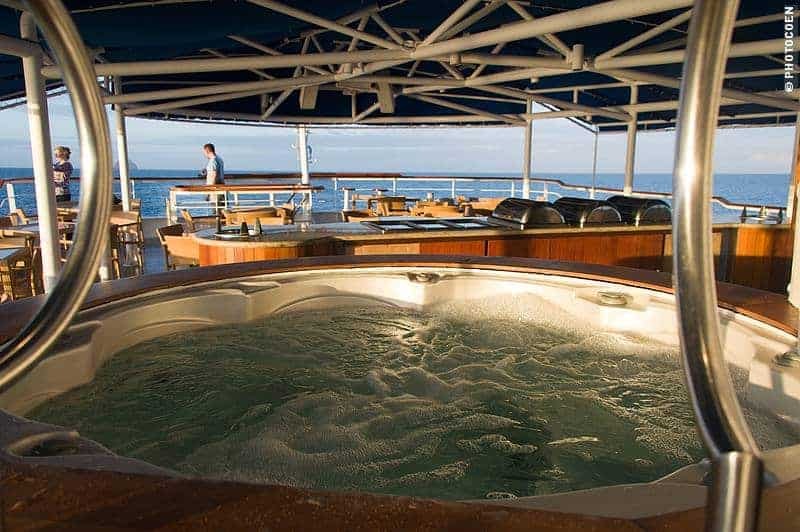 Did I mention the yacht has an outdoor hot tub, and even a cardio-gym? Our cruise was around the so-called northern islands. When needing to cover large distances, the yacht sailed during the night, such as on during our first aboard. September is a season with rougher seas than the rest of the year and the high waves woke me up. I felt as if I was lying in a roller coaster but was quickly rocked back to sleep again. It was nice to leave the tough steering to somebody else for a change. Thank you, Captain Patricio Guerra. View from the top of Bartolome Island. Most passengers took either pills or had put some kind of band-aid on the skin behind their ear to prevent seasickness (similar idea to a nicotine patch). When I woke up again we had returned to quiet waters. La Pinta lay anchored close to Eden Island. From then on we had a busy schedule full of activities to see as much as possible of these magical islands. We explored it by dinghy, and later its underwater life either with the glass-bottom boat or snorkeling. 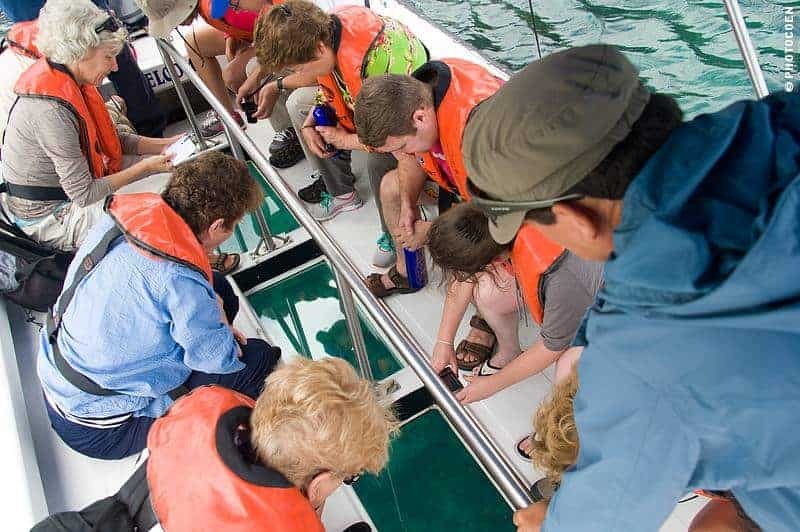 For those who love snorkeling, the glass-bottom boat is of no use. However, there were a number of people who didn’t snorkel for a variety of reasons. We joined this group on one of the occasions, just to see for ourselves. We concluded that while not the best option for taking decent photos, it does offer a good alternative to watch underwater life. While we lunched we sailed to an island called Chinese Hat – yes, named after its appearance. It was a perfect place to watch sea lions basking on a white sandy beach. 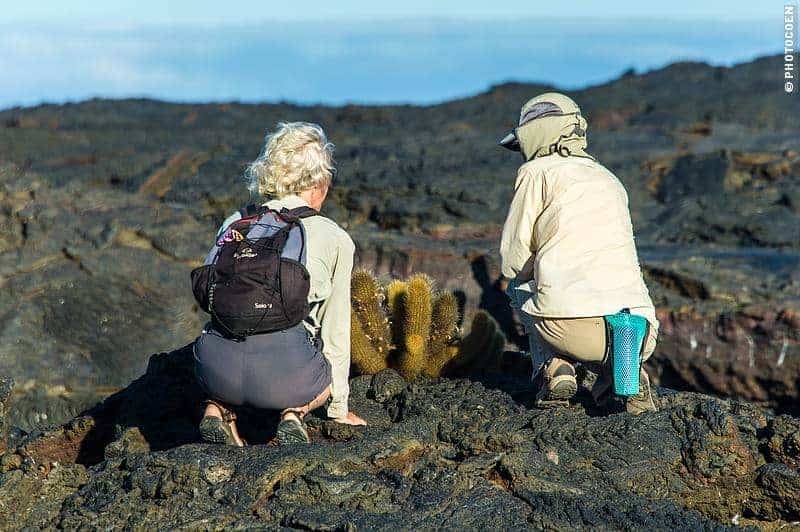 They had the company of sally lightfoot crabs and pitch-black marine iguanas. Bartolomé was the next destination, where we hiked up the volcano and snorkeled once more. 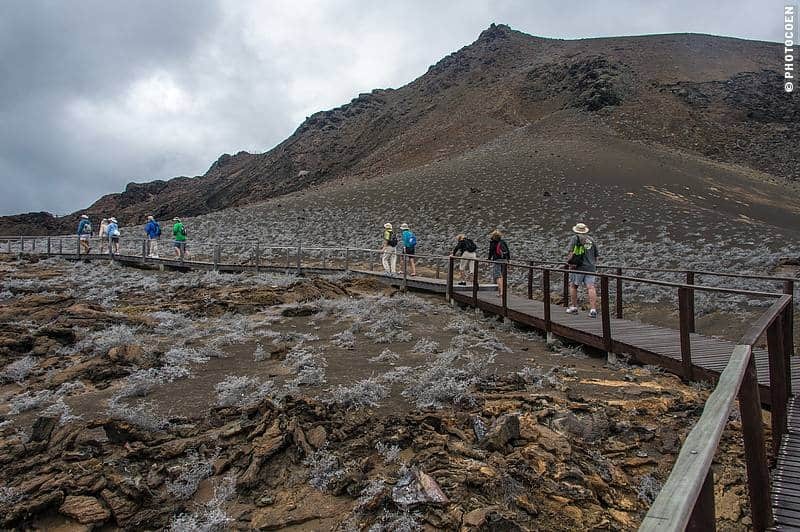 That afternoon we hiked over a black mass of lava at Santiago’s Sullivan Bay, which is the most otherworldly place we’ve ever been to. During the night we sailed the long distance to Genovese Island, or Bird Island, where we anchored in a bay. 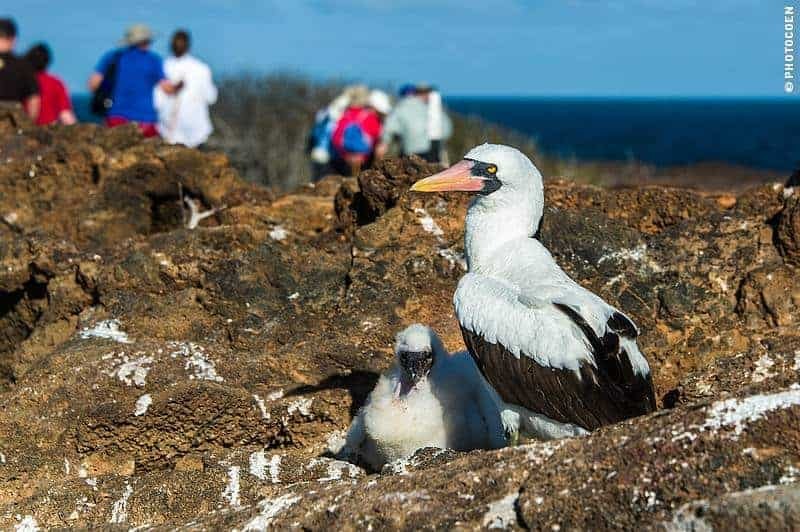 For hours we hiked on two different parts of the island, admiring hundreds of nazca boobies, red-footed boobies, frigates and swallow-tailed gulls, many of which were nesting. Again, it was surprising how the birds stay put despite so many people are passing by. I can’t say they were undisturbed because they did make sounds if somebody accidentally stepped too close to them. This was not necessarily because people stepped outside the trail but many birds simply nest right next to or partly on the trail. The National Park has strict regulations on which boat can anchor where, and which outdoor activities are allowed to be undertaken by whom at which moment. This way it ensures that there are never too many at one time at a certain place, despite the fact that 200,000 people visit the islands each year. I asked Dries whether he had seen any change in the behavior in animals over the twelve years of him working as a guide here. He said he hadn’t. This bay was also perfect for sea kayaking. We were protected against big waves and winds as the horse-shaped bay is hemmed in an almost full circle (the yachts have a seven-meter wide gap to enter) by cliffs. This was my most peaceful moment of the trip. As a lingered behind the rest of the group for once I was all by myself. The wind was in my back gently pushed me forward. I could give all my attention to seagulls, a tropic red-bill bird, a frigate and the green turtle which popped its head above the surface right in front of my kayak. 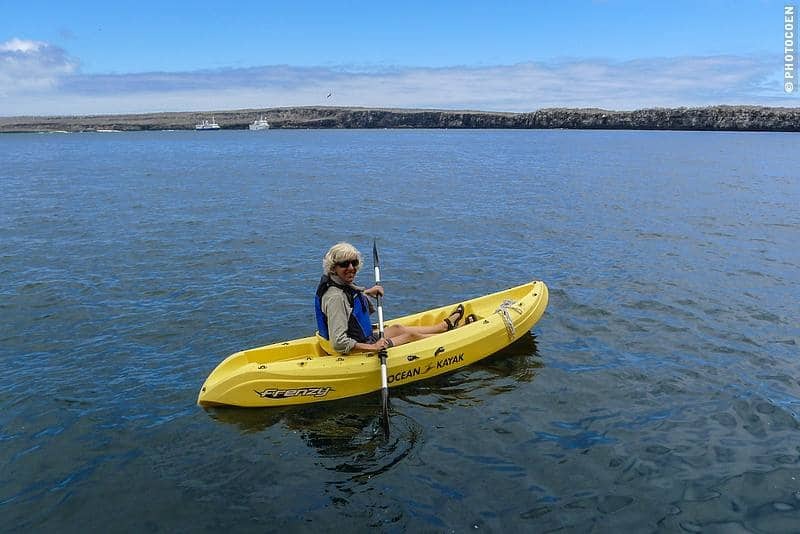 Beforehand I had figured that a four-night Galápagos cruise would be more than enough. 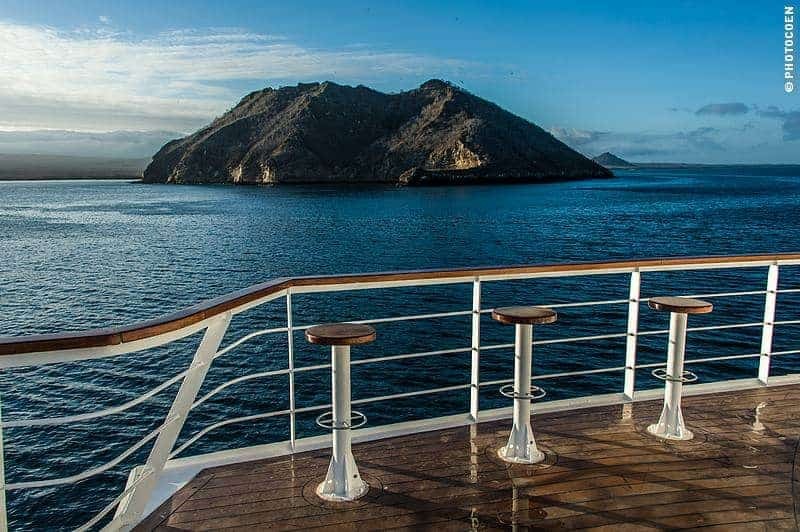 If not for the cruise where you spend so much time with many people, as well as having to share activities instead of being able to undertake them on our own. Well, I was wrong. If there is one thing you can’t predict, it is your group and I guess you need a bit of luck in that respect. To our great pleasure we found ourselves in excellent company. 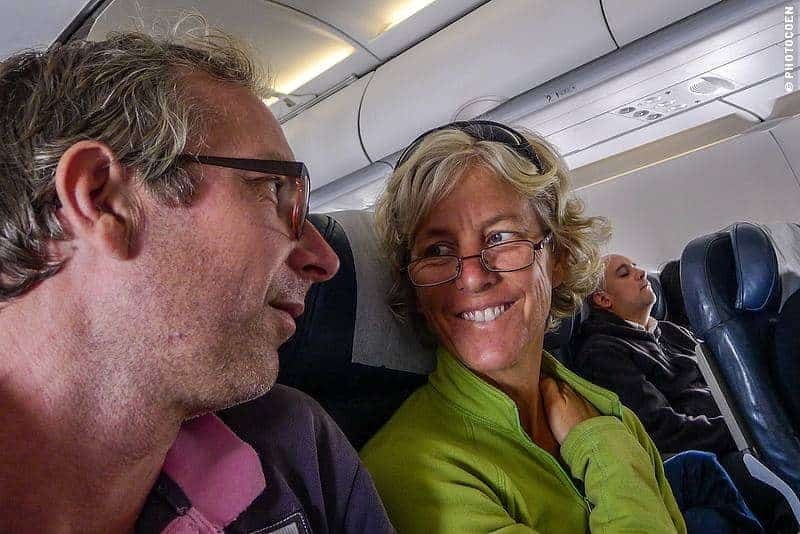 Passengers varied from their twenties to their eighties, from singles, couples and families to a group of friends, from corporate employees and entrepreneurs to retirees. Many had seen quite a bit of the world, had a sense of adventure, were curious and not afraid to try something new. It made for many interesting conversations during our meals. 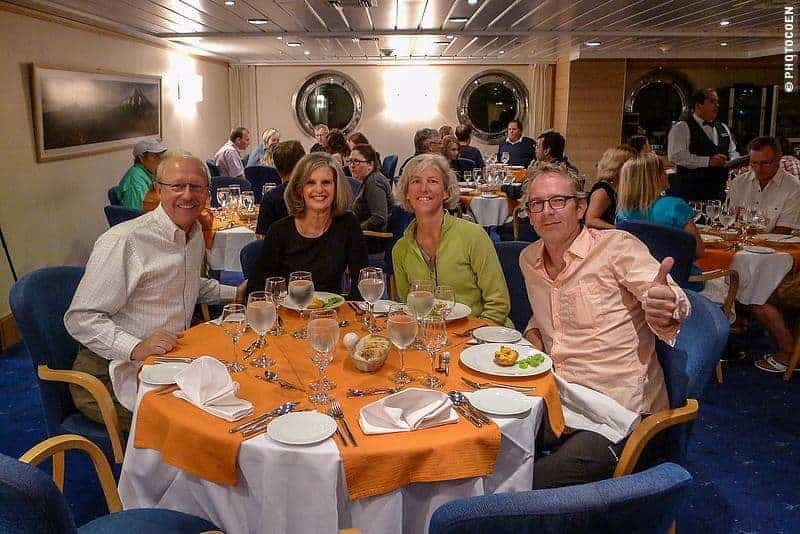 Frankly, apart from during meals everybody was too busy with their activities or too exhausted to converse much (read that as a compliment to the cruise/expedition). 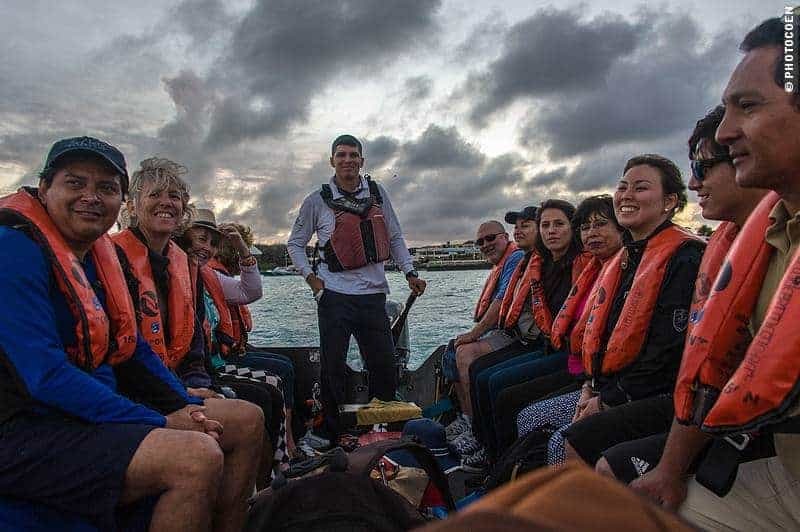 Even though all islands belong to the Galápagos archipelago and while the islands are relatively close to each other, each island has something else to offer. 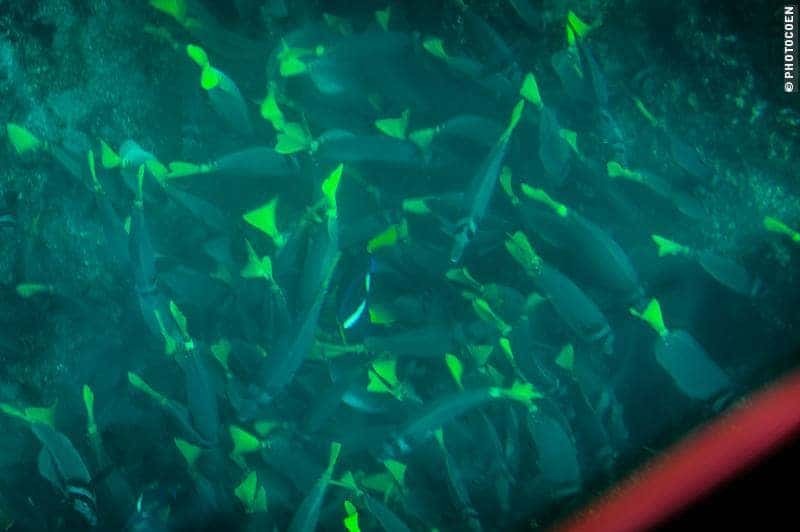 There are many things we didn’t see (we only saw a handful of the 20 some islands and many islets). Now, a couple of weeks after we returned to the mainland, I often find myself wondering what charms behold the other islands. 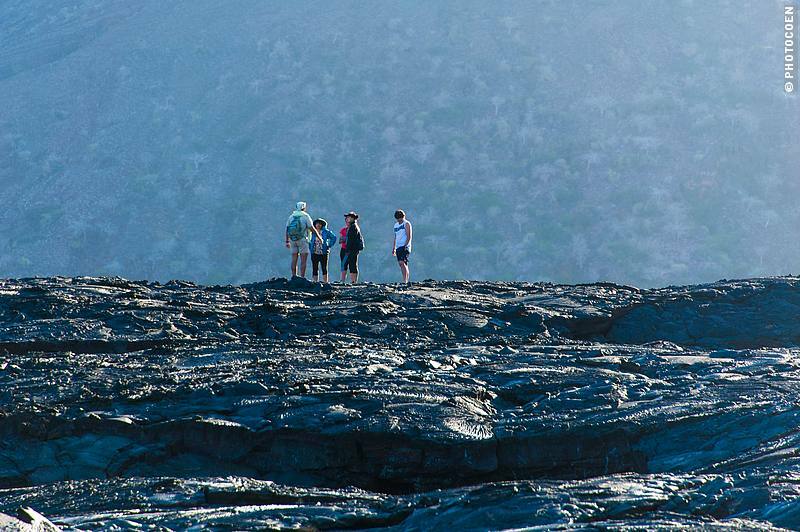 Each corner of the Galápagos is simply filled with wonder. It is easy to specify the individual objects of admiration in these grand scenes; but it is not possible to give an adequate idea of the higher feelings of wonders, astonishment and devotion, which fill and elevate the mind. No doubt that, at the core, Coen and I will remain land cruisers, but we would certainly opt for another sea cruise again. 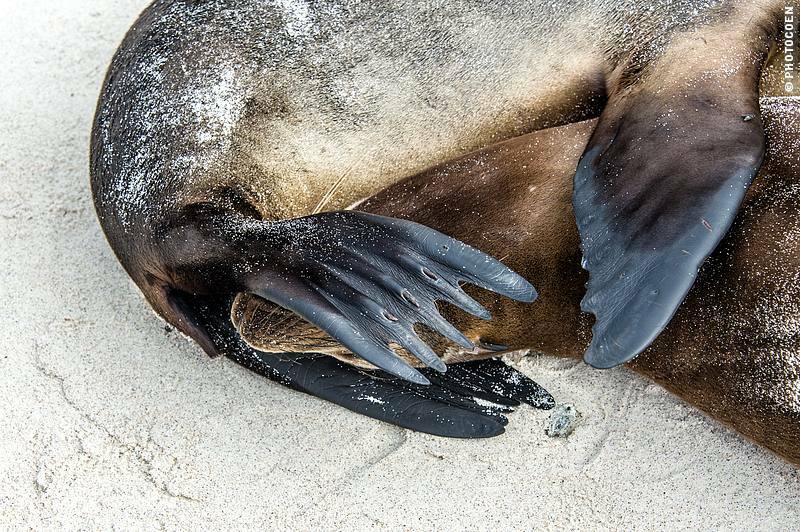 Your post takes us back to our Galapagos trip – such an extraordinary place, where the animals and birds go about their business, ignoring us humans who sometimes have to step around them (the seals and sea lions). 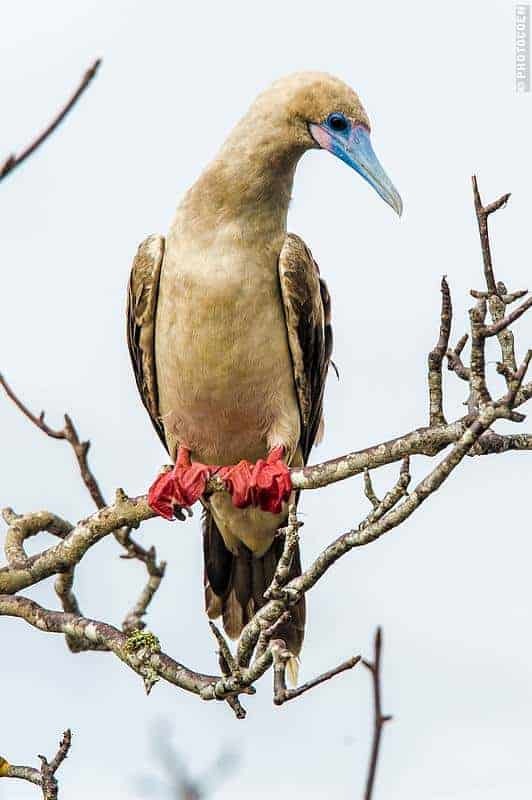 Love your photo of the red-footed booby! 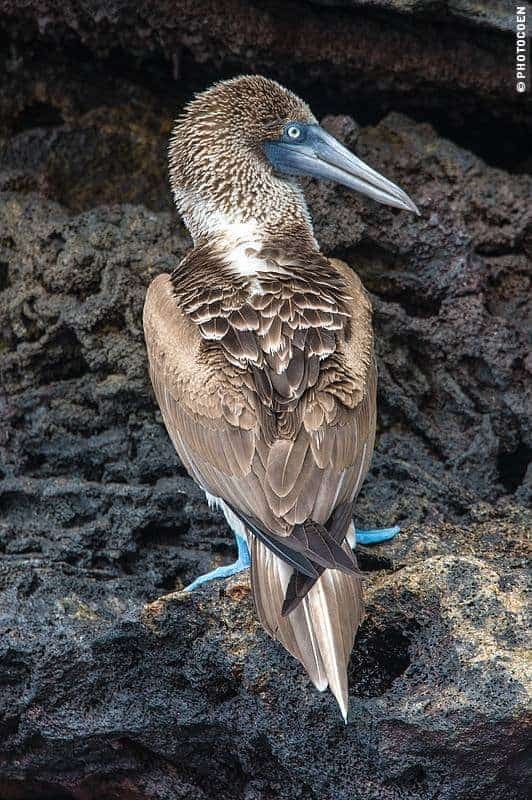 The blue-footed boobies made us laugh with their comical hopping dances.